Churchill Medical has recently been appointed U.K. Distributor for Techno Concept of Cereste, France. Techno Concept are manufacturers of compact systems for balance assessment and have 15 years of experience in posture, balance and locomotion research and development. Please contact us for price information about this item. 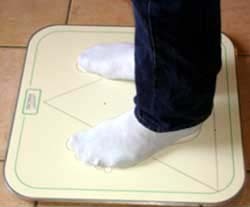 Simple and unique device for an easy and quantified assessment of balance. 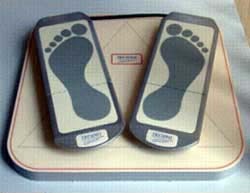 Compact device - easy to transport Has all the features of the stabilotest Will also assess weight distribution between heel and forefoot Footpads may be separated Footpads may also be used on a rocker board (supplied) Posturewin software - this is an interactive software developed under Windows.